From every part of Russia and abroad, our correspondents are discovering the burning issues and what voters expect from their next leader. steps being taken to protect the country’s environment. “The Russian government unfortunately doesn’t have a specialised environmental structure now for eight years already, there is no environmental ministry or environmental committee which would be responsible for the state of the environment,” said Chestin. Is Russia a democracy? Journalist Sergey Brilev joined RT to share his opinion on the issue and to comment in what ways Dmitry Medvedev as President might be different to Vladimir Putin. Aleksandr Borisov from Moscow International Business Association spoke to RT about foreign investment and businesses in Russia. “The volume of direct investments coming and going out of Russia this year is practically the same,” Borisov said. behind. He said that Russia's foreign relations will undergo changes only in response to the world's greatest powers. “Russian foreign policy towards the UK and the US will not change, the policies of the US might change, especially if the Republican candidate John McCain becomes a president, with his idea of global alliance of democracy, of confrontation with Russia and China etc. Much will depend on British and America's ability to recognise Russia's recent change and to accept Russia's revisionism and Russia's unwillingness to play the game by the rules of 1990s and to accept Russia as an equal independent great power,” insisted Suslov. The International Youth Policy League organises youth summits for talented youth – young businessmen, politicians and leaders. The League's Ksenia Khoruzhnikova joined RT to mention the world policies from a youth perspective. “We give an opportunity to meet for the talented youth from different countries to try to find common resolutions for world problems. For example, we've organised the G8 Youth summit,” she said. Thomas D. Nastas, President of Innovative Ventures Inc., joined RT at 5pm to comment on Russia’s economic revival and the key problems that businesses face when opening up, namely bureaucracy and corruption. they need a modern airport. Viktor Konyashchenkov, chief consultant at St. Petersburg's Pulkovo airport, updated RT about planned redevelopment work. “There is no doubt that such a city as St. Petersburg needs a new airport and Pulkovo currently prepares for investor competition which will be called in July. We expect that by the end of 2012 we’ll have a new terminal and other facilities, and almost the whole airport will be rebuilt,” Konyashchenkov said. 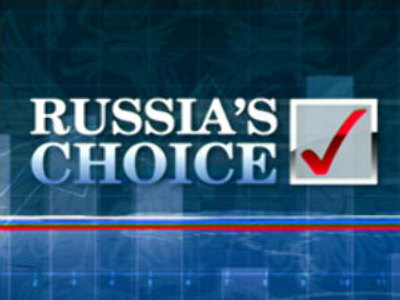 Maria Chernobrovkina from the American Chamber of Commerce in Russia spoke to RT about the economic trends in the U.S.-Russia relation. “Economic relations between the countries differ much from their politics. There is a huge market in Russia and the western companies, including American, are now enjoying those positive changes, which have taken place recently,” Maria Chernobrovkina stressed. Gregory Ingleright,consultant to the New Holland Island project in St. Petersburg, which aims to make the historical site one of the best attractions in Russia, spoke with RT about its expected profitability, as well as tourism's future in Russia. “The scenario has been so well written that it will be interesting to see how smoothly it all actually goes”. Natalya Narochnitskaya, president of the Foundation for Historical Outlook, joined RT to once again examine Russia’s stance on Kosovo and look to the future. “I hope Russia will go on acquiring more economic and political might, so that it could become a predictable, reliable and fully independent actor in international relations. For the EU it’s much better to have a strong rather than a weak partner,” Natalya Narochnitskaya believes. Tony Halpin, Moscow Bureau Chief of the Times newspaper, spoke to Russia Today about relations between Britain and Russia. “The relations on the political level are very bad right now. President Putin and Prime Minister Brown have spoken once since Brown took office last summer. Whether they will improve with Mr Medvedev one must hope so. Economically things are very strong right now. Culturally things have been rocky recently with the issue concerning the British Council. It remains to be seen whether Mr Medvedev wants to turn a new chapter,” said Halpin. Mikhail Krutikhin, Editor-in-Chief of the Russian Energy Weekly, shared his views on Russia’s current energy policy towards Europe. “Russia now pursues the policy of artificially depressing oil and gas production in the country. At the moment it’s not profitable for Russia to produce more oil and gas. Natural resources now are more valuable laying underground,” Krutikhin believes. Archpriest Vsevolod Chaplin believes that to prosper Russia needs to remain loyal to its roots, which are to a large extent spiritual values. “In our literature, music, national character and the overall way of life there are a lot of elements of the Orthodox Christian mentality, which implies the supremacy of spiritual values and the idea of unity between the power, the people and the Church,” he said. Madina Kalimullina from the Russia Muftis Council came in to RT to discuss the main problems facing Muslim communities in Russia. Recent attacks on mosques are considered to be one of the strongest challenges the Muslim community has to face now in Russia. Madina Kalimullina believes peoples’ ignorance is behind the attacks. “Ignorance is often behind the attacks. That is why we put a stress on education and enlightenment,” Madina Kalimullina noted. Abraham Berkowitz from the Federation of Jewish communities of CIS and Baltic states spoke to RT on the revival of the Jewish community in Russia. He affirms conditions in Russia have significantly improved since the fall of the Soviet Union, and no wonder Jews have recently come back to Russia from Israel. “In the Soviet Union the Jewish community existed only in population. Today the whole spectrum of Jewish life has been reborn in the country, and now Jews are allowed to celebrate their religious holidays, to teach their children in Jewish schools, which are supported by the state,” said Berkowitz. Raimo Valo, CEO of Glitnir Asset Management, joined RT to talk about the business environment in Russia. “Of course, every country has its own peculiarities. The perception of Russia being that different isn't really true. My business in Russia is very similar to that I made in Hong Kong, Singapore or Switzerland. But the details are probably different. The biggest difference is the implementation of rules, which change all the time,” Valo stressed. Roman Kopko, from the Amur Machinery and Services CO, gave RT his view on how business has grown over the past few years in Russia’s Far East. “I hope there will be economic growth in the Primorsky region,” he said. Yury Darman, the head of Amur branch of the WWF in Russia, joined RT to comment on the illegal logging in the Taiga, and the other big environmental issues the WWF focuses on in the Primorsky region. Pavel Zaitsev, a financial analyst, joined RT to talk more about the business climate in Russia's Far East. “The Primorsky region has changed over the last years. It became stronger economically, the consumer sector is booming,” he said. Marina Pomelova, a TV journalist from Russia’s Primorsky region, shared with RT her view on the APEC Forum that Vladivostok is due to host in 2012. “People in the region are very excited about the APEC Forum, but some local people have doubts if they are ready in time,”she said. Dr. Ariel Cohen, Senior Research Fellow at the Heritage Foundation, joined RT to share his view on Putin’s presidency. “I think Russia under Mr Putin’s leadership had a lot of achievements because of positive economic developments in the world and in Russia,”he said. Viktoria Lopyreva, a former 'Miss Russia' joined RT at 0 am. She says women in Russia have become more independent and more able to take care of their lives the way they see fit. “Women in Russia now have more opportunities to be well educated and independent,” she said.